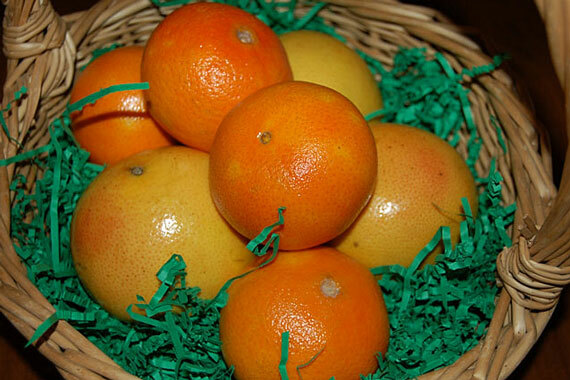 This basket of bright orange fruit is a very appealing gift. The woven basket has been lined with shredded green paper to add a cushioning and festive touch. Gift baskets such as this are popular holiday items. They are often shipped direct from the grower, so it's easy to send to friends and relatives when vacationing in citrus-growing areas.